Two decades ago, genetically modified (GM) golden rice was touted as a way to save the world’s starving children. The hype didn’t last very long, however. It didn’t save any lives, farmers didn’t grow it, and nobody ate it. 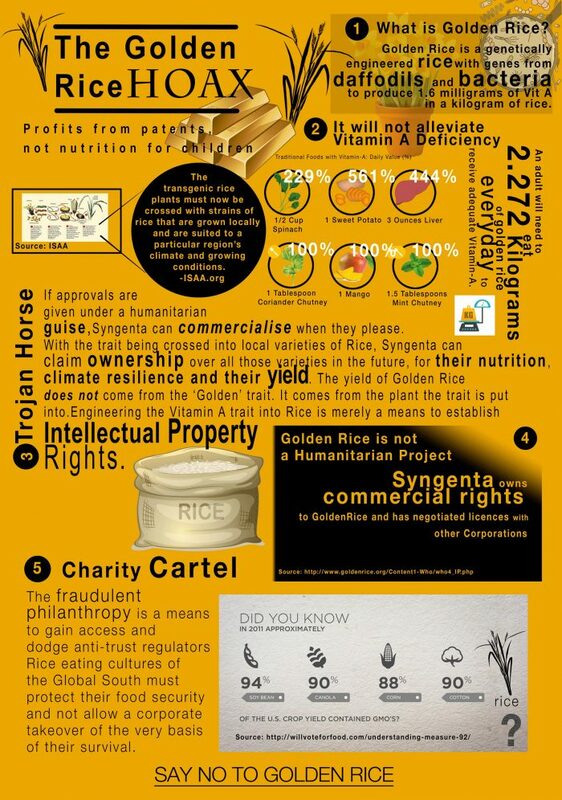 But in May, golden rice won the approval of the U.S. Food and Drug Administration (FDA), with the agency declaring it safe to eat. Golden rice, one of the oldest GMO crops, initially won high praise because it was engineered to produce vitamin A (beta-carotene), which would help children in poor countries get the required dose of the vitamin. About 250,000 to 500,000 children go blind each year from a lack of the vital nutrient. The news media has been celebrating the FDA’s embrace of golden rice and the fact that more countries could also approve it, still framing golden rice as a savior of sick and dying children. Don’t be fooled. It seems that golden rice was much ado about nothing.